On the third floor of City Hall in the City Council Chambers. The purpose is to discuss the reapplication for the Revere Homes project. Additional items may be added for discussion as needed. On the third floor of City Hall in the City Council Chambers. There will be a discussion concerning the Industrial Park Board appointment. Additional items may be added for discussion as needed. Meets in the City Council Chambers on the 3rd floor of the City Building. Meets in the Council Chambers on the third floor of the City Building. 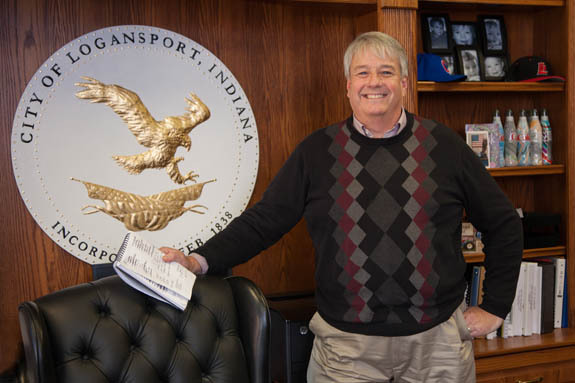 Meets at the Logansport Municipal Airport. On the third floor of City Hall in the Utility Service Board Room. The Solar Committee are to hear a presentation by Eric Walsh on financing options for the solar field at Trelleborg. Additional items may be added for discussion as needed. Meets in the Utility Board Room on the third floor of City Hall. Welcome to the City of Logansport online. Over the past year, thousands of people have ventured to this Internet locale to find out more about our community. Our Web site was renovated to accommodate you, and it has been designed to make the most requested information and contacts as conveniently available as possible. One of our distinctive features is the capacity for translating our Web site into seven languages other than English. For periodic updates on what is happening in Logansport, click on our Facebook page. More than 3,000 people from “Logansport Nation” like us on Facebook, and we hope you’ll like us as well. If you are unable to find what you are looking for on our Web site or the connecting links, please contact my office at (574) 753-2551. Logansport is in the Eastern time zone. Our office is open weekdays from 8 a.m. to 6 p.m. You also may reach me by e-mail at dkitchell@cityoflogansport.org.